Are you considering which Mandarin class to enroll? Here are the top 7 factors to consider when choosing a Mandarin class. 1. Choose Mandarin class that has proven effective ways of learning Mandarin and can shorten your learning curve. Check and see how is their students’ progress and results. 2. Choose Mandarin class that guarantee you can speak fluent Mandarin or students can re-take the whole course for FREE. If the Mandarin class is so confident in the way they teach Mandarin, they should offer this benefit. 3. Choose Mandarin class that offers online Mandarin class and lifetime support. Is the centre willing to help you with your queries about Mandarin after you have finished the course? > Yes, we offer FREE online class and lifetime support benefit for our students. 4. Choose Mandarin class that offer long term classes. The reality is you cannot learn Mandarin the way you cook instant noodles. Language acquisition requires time and effort, it is a long process. > BBC course duration is at least 6 months to make you can speak fluent Mandarin. 5. Choose language centre that only specialise in teaching Mandarin. If a centre is offering many languages, it means that is not specialised in Mandarin, but they specialise in languages. 6. Choose Mandarin class that offers flexible schedule, replacement and revision class so that you can still catch up even if you miss a class. > BBC students can switch to other classes or branches. 7. Choose Mandarin class that developed course materials (book, audio and video files) in-house and not the centre that only depends on books in bookstore. Do you know… Belajar Bahasa Cina BBC is the only Mandarin class in Malaysia that fulfill all these 7 factors. BBC Beginner Mandarin Course is designed especially for teenagers & adults who have zero or little basic of Mandarin. 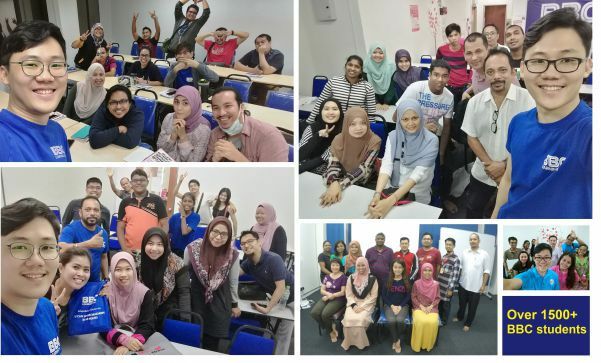 This is the ONLY Mandarin course in Malaysia that guarantee you can speak Mandarin or you can re-take the full course for FREE!